The most exciting period of Spring is upon us once again. What one-day period am I referring to? 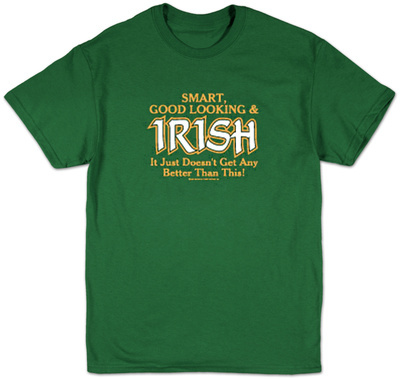 St. Patrick’s Day of course (also known as St. Patty’s Day and St. Pat’s Day)! It’s the working holiday that features pictures of leprechauns and shamrocks; provides inspiration for alcohol jokes; provokes other fun activities such as drinking lots of beverages and pinching people who don’t wear green. 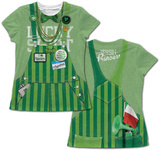 The color green, besides representing Spring and Ireland’s national color, also symbolizes good luck. 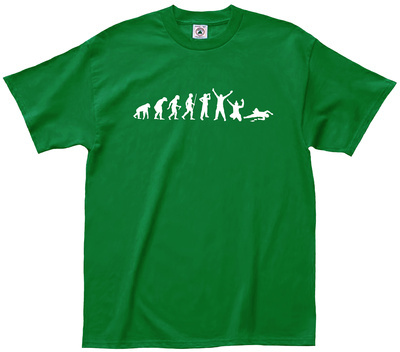 Browse our special feature of funny St. Patrick’s Day shirts! 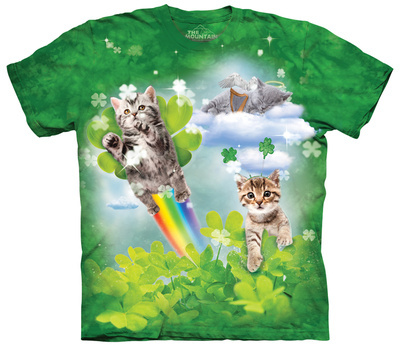 Who knows—maybe you’ll discover a t-shirt that will bring you good fortune! 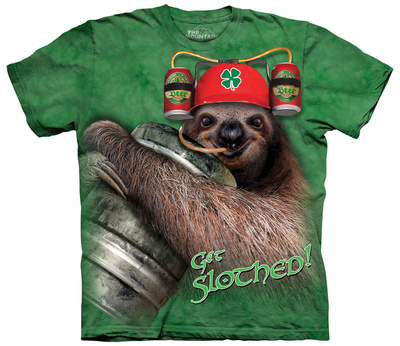 Slothing: When a person becomes too fatigued to partake in any activity. Inspired by the sloth, an animal that spends their life hanging in trees and moving very slowly. Saint Patrick’s Day isn’t only a holiday of drinking and partying—it honors Irish culture and heritage. New York and Chicago host the largest St. Patty Day celebrations in the United States. A common chant that’s heard at parades is “Erin go Bragh”. It translates to “Ireland Forever”. 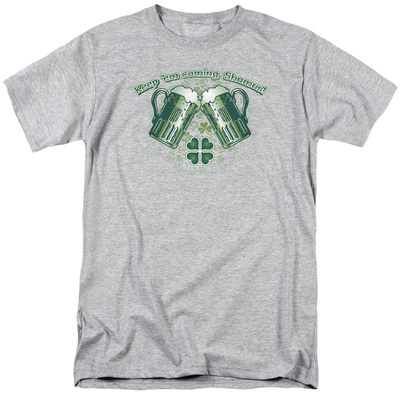 The consumption of alcohol, especially beer, is oftentimes associated with St. Patrick’s Day. In 2012, it’s estimated that the global consumption of beer equals $245 million on this single day. A person can’t drink any beer—it must be an Irish-crafted alcohol drink, in order to honor Irish heritage. Ireland has historically brewed and exported the drink throughout Europe and eventually worldwide. Famous Irish brands include: Harp, Murphy’s and Guinness beer brews. 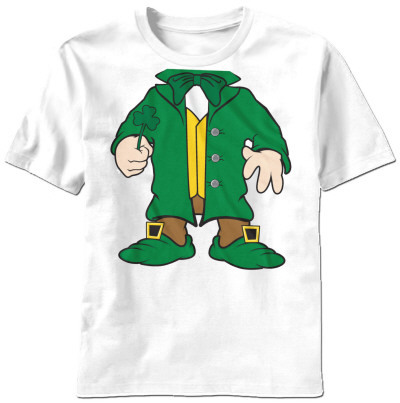 The Leprechaun symbolizes an Irish fairy (not the friendly kind with wings) that enjoys fooling people. The word originates from the old Irish term “luchorpan”, which means “little body”. They make shoes all day and hide pots of gold treasure. If you capture a Leprechaun and look away for an instant, the little being disappears. 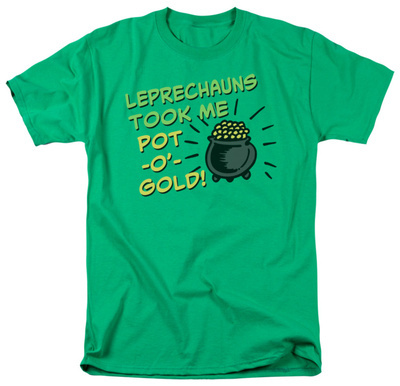 Do you know a Leprechaun in your life? 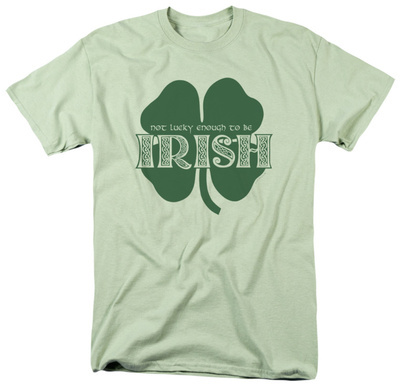 Find a shirt for any occasion—including St. Patrick’s Day. 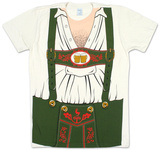 Browse our collection and find the perfect tee to celebrate the holiday. Who knows how lucky you might become with it.